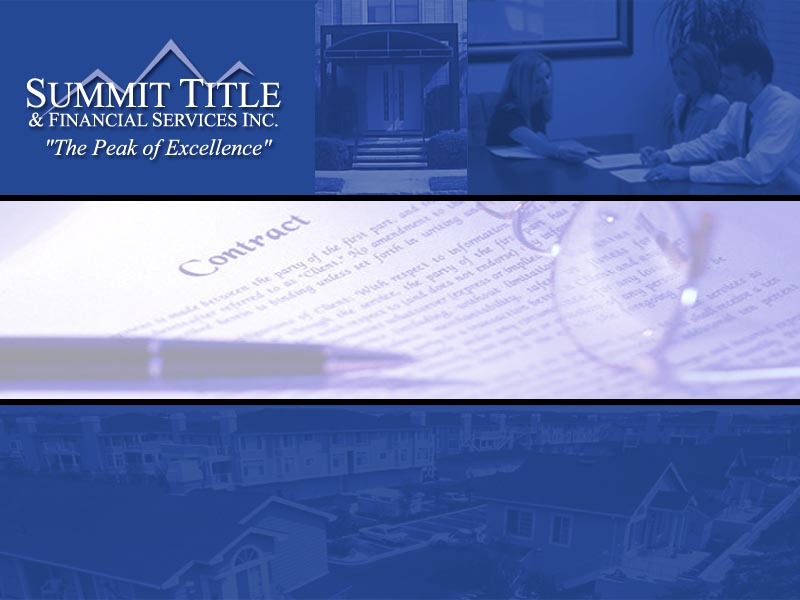 Summit Title & Financial Services Inc. has provided comprehensive escrow and title services throughout Florida during the past decade. Our commitment to you is to deliver timely accurate closing and title services utilizing our state of the art computer and software system. Our inhouse staff of lawyers are here to answer any legal questions that may arise. Our friendly professionals are dedicated to making your purchase or selling experience a pleasant one, allowing you to enjoy the pleasures of home ownership.